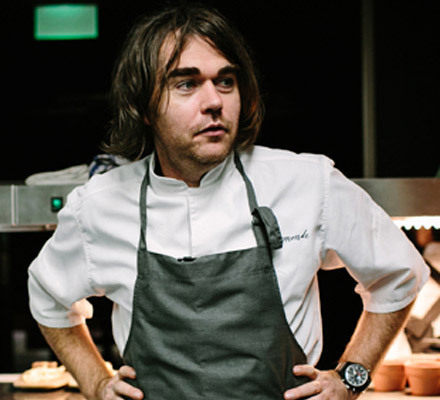 Celebrity chef and restaurateur Shannon Bennett freewheels about Australian cuisine, food history, and why the fundamental principle of real estate should apply to restaurants too, in a chat with Sudeshna Ghosh. French onion soup was invented in Melbourne,” says Shannon Bennett. Who knew?! Clearly, Shannon did. And if anyone knows anything about Melbourne’s food culture, it’s him – not only is he one of the city’s best known international chefs, but he is someone who is passionate about food history. It is a real passion for discovering what is at the heart of a cuisine – “When I go to a place with an amazing food culture, I love to learn about it,” he says – combined with unstinting hard work, that has propelled him to the stature he enjoys today as one of the leading ambassadors of Australia gastronomy. Owner and chef of award-winning restaurant Vue de monde, as well as spinoff restaurants Café Vue and Bistro Vue, Shannon has some awe-inspiring credentials under his belt, which include working with industry legends such as Albert Roux, Alain Ducasse and Marco Pierre White. With his shock of unkempt long hair and easygoing demeanour, Shannon wouldn’t look out of place on the stage at a rock concert, and in fact, it is the rock and roll lifestyle of being a chef that first attracted him to this business – when he spent a few years living with his rockstar turned chef uncle Tom, who owned pubs in England, as a 12-year-old boy. “I fell in love with the lifestyle. But that was a false façade, I only learnt later about the hard work, the hours put behind it,” Shannon laughs. After school, where he studied home economics, Shannon signed up for an apprenticeship at one of his uncle’s pubs, the Viceroy pub, when he was 15 – and there was no looking back for him. He worked with the likes of John Burton-Race, “the hardest kitchen to work in, in Europe at the time,” according to Shannon, with Nigel Marriage as head chef, who has been known to physically beat chefs! After this baptism by fire, working with Marco Pierre White was like a picnic. Well, not quite, Shannon describes the experience as “challenging but a lot easier”. Determined to work with the best, Shannon next took the opportunity to learn baking and pastry from the Roux brothers, as well as perfected his French technique with the likes of Alain Ducasse. Having built up a strong foundation and armed with this enviable experience, Shannon moved back to Melbourne in 2000, and opened his first restaurant Vue de monde, to bring the latest in European finesse to Australia. His brand of storytelling comes to life not just in his food, but his various other projects which include authoring books both based on recipes as well as foodie travel guides, and TV appearances. Shannon likes to tell stories that have a basis in food history, and uncover the essence of a cuisine – which he has done in his bestselling books Shannon Bennetts’s France, Paris and New York (Melbourne University Publishing) respectively, and the latest, 28 days in Provence (Random House). He is also a regular guest on the globally popular show Masterchef Australia, which is co-hosted by his former protégé George Calombaris. “George asked me to do it, so I agreed. I got into it not knowing its powers, but the response from my customers was positive, so I went back,” he says. He continues to pursue his passion with his current project ‘Cooking around the world’ with kitchen brand Miele, whom he is a brand ambassador for. This culinary series, which brought him to Dubai recently, sees him immersing himself in a city’s culture, and create a meal that meld local ingredients and ideas with Australian food. The global journey, during which he has visited 22 cities in three months, will culminate in a cookbook due to be released this month. I cannot think of a more suitable project for this chef, who counts going to the National Library to find recipes as one of his favourite pastimes, and harbours an ambition to bring Australia’s historic dishes in a chronological order, in his restaurants. His passion for produce not only underlines his food philosophy – ‘less is more’ – but seems to be the one shared characteristic between all great chefs. Even Ferran Adria, the God of molecular gastronomy, when he spent some time in Shannon’s kitchen working on a book together, demanded local ingredients to work with. “His food is like a project. He was like a schoolteacher, demanding ‘Bring me 20 ingredients that are local’. I went to a farmer’s market, foraged for ingredients with an aboriginal lady… it was an incredible learning experience and something of a turning point for me,” Shannon says. And it was a search for a sense of location that took Shannon to restaurants like Zaroob and Ravi’s on his recent trip, foregoing the more glamorous high-end restaurants for what he hoped would help him “get under the skin of the culture”. Few people do originality better than Shannon, so when I ask him about the possibility of opening up a restaurant here, he shies away from answering. Where would he have the time though, with his four books over four years deal with Penguin – which will include a new Vue de Monde cookbook, and a book on London’s food history – on the cards, the Miele culinary series, and his pet project, a kibbutz style hotel that he is planning to open on a farm, formerly owned by Adrian Zecha (he of the renowned Aman resorts fame), due to open in 2016. All this in between working in the restaurants a couple of times a week. “That’s my saving grace,” he reveals. It is indeed a rich legacy he will be leaving behind. He sums it up aptly in a quote from his father that he likes to use as a life philosophy, something we can all learn from and apply in our lives. “Leave a book on the shelf when you go, no matter what you do. That will give someone a direction later on”. Shannon’s book will certainly be worth reading.